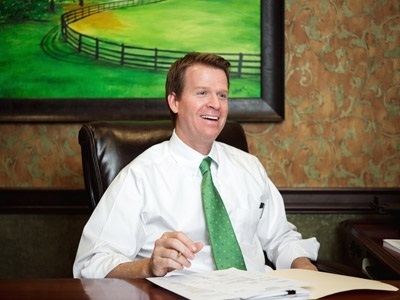 Ford N. Lankford is a Portfolio Manager at Russell Capital Management (RCM). He manages investment portfolios and consults on investment planning for personal and institutional clients, as well as retirement plan sponsors and participants. He joined RCM in 2010, and has worked in the investment industry for over ten years. Prior to RCM, Ford was a Portfolio Manager in the trust department for PNC Bank for eight years. He is an Accredited Wealth Management Advisor (AWMA) and an ABA National Trust School Graduate. He has served as Treasurer of the Central Kentucky Planned Giving Council since 2009. Ford is a graduate of the University of Kentucky where he earned his Bachelor of Business Administration and Master of Science degrees, and was Team Captain for UK's Tennis Team in 1994 and 1995. He attended Sayre School from elementary through high school. Ford, from Georgetown, lives in Lexington with his wife (Allison Lankford, General Counsel for the Blue Grass Community Foundation) and two children (Carter, 9 and Caroline, 6).